To serve and support the United States, the Naval Service, the Naval Academy and its alumni by furthering the highest standards at the Naval Academy; by seeking out, informing, encouraging and assisting outstanding, qualified young men and women to pursue careers as officers in the Navy and Marine Corps through the Naval Academy; and by initiating and sponsoring activities which will perpetuate the history, traditions, memories and growth of the Naval Academy and bind alumni together in support of the highest ideals of command, citizenship and government. The Naval Academy Alumni Association coordinates all class reunions for alumni. For more information about class reunions see the Alumni Association's Reunion's page. Visit the USNA Notable Graduates website for interesting information about famous graduates of the US Naval Academy. The U.S. Naval Academy Foundation helps to advance the Naval Academy and the Naval Academy Alumni Association by providing private resources to achieve and maintain a broad range of mission-enhancing activities that support the nation's premier leadership institution and its graduates. 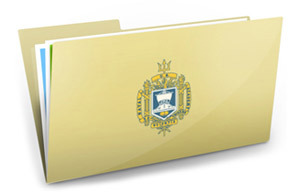 The Foundation's responsibilities in support of the Naval Academy include developing, promoting, and enhancing the programs and facilities of the Naval Academy and its Alumni; soliciting and providing private gifts and grants in support of the Academy's highest priorities within its Centers of Excellence – Leadership & Character, Academic, Athletic, and Admissions; receiving, managing, distributing and investing private contributions exclusively for the benefit of the Brigade of Midshipmen, the Naval Academy and its alumni; and advancing the admission of highly qualified candidates to the Naval Academy by providing scholarship opportunities to enable aspiring young men and women to attend private preparatory schools. Congratulations to ADM Bill Moran '81, USN, newly nominated to lead the service as the next chief of naval operations!